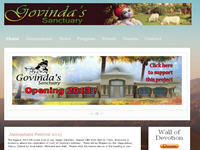 The website of ISKCON at Las Vegas – the divine abode of Sri Sri Radha Govinda. Category United States Of America July 8, 2013 by ISKCON Desire Tree. 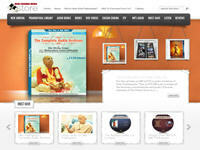 An online store wherein you can purchase the Audio and Video CD/DVDs of Srila Prabhupada. Visit the website and relish the transcendental mectar. Category Stores and Shopping July 15, 2013 by ISKCON Desire Tree. Homeschooling Krishna’s Children is structured in an easy-to-read format, ideal for the busy parent, with 60 chapters focused on specific aspects of homeschooling. The chapters are grouped into five units—basic principles, the home environment, academic curriculum, extracurricular activities, and handling challenges. An appendix includes more than 30 pages of frequently asked questions. Category Education July 15, 2013 by ISKCON Desire Tree. Lectures and Notes on Science and Krishna Consciousness – By Rasaraja Dasa, Ph.D. The official website of Rasaraja Dasa, Ph.D., presenting his articles on Science and Krishna Consciousness. It also contains many of his videos. Category Prabhus July 29, 2013 by ISKCON Desire Tree. A website prepared to help raise funds so that the costs of putting on such a large program for free can be met. 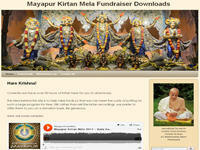 The kirtana recordings can be downloaded after offering some donation (minimum:$1). Category Multimedia, Organizations July 26, 2013 by ISKCON Desire Tree. The blog of World Sankirtan Express – a Movement aiming at the spiritual reorientation of mankind through the simple process of chanting the holy names of God. 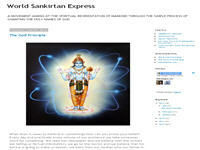 Category Blogs July 29, 2013 by ISKCON Desire Tree.